Billy Mitchell: Today, a war is very different than the last European war was. 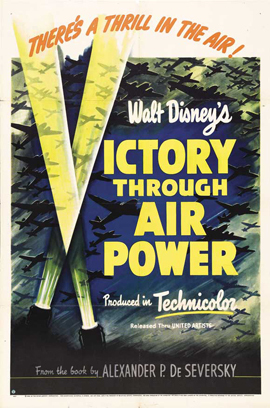 Now air power is the dominant feature of military operations. Air power can fly directly to the vital centers of an opposing state and neutralize them. It can destroy the cities, it can wreck the aqueducts, it can knock out the lines of communication, it can destroy the food supplies, and make the people helpless to resist.